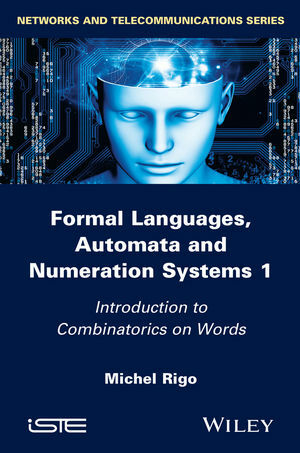 Formal Languages, Automaton and Numeration Systems presents readers with a review of research related to formal language theory, combinatorics on words or numeration systems, such as Words, DLT (Developments in Language Theory), ICALP, MFCS (Mathematical Foundation of Computer Science), Mons Theoretical Computer Science Days, Numeration, CANT (Combinatorics, Automata and Number Theory). Combinatorics on words deals with problems that can be stated in a non-commutative monoid, such as subword complexity of finite or infinite words, construction and properties of infinite words, unavoidable regularities or patterns. When considering some numeration systems, any integer can be represented as a finite word over an alphabet of digits. This simple observation leads to the study of the relationship between the arithmetical properties of the integers and the syntactical properties of the corresponding representations. One of the most profound results in this direction is given by the celebrated theorem by Cobham. Surprisingly, a recent extension of this result to complex numbers led to the famous Four Exponentials Conjecture. This is just one example of the fruitful relationship between formal language theory (including the theory of automata) and number theory.